On Friday, the legacy media successfully turned the focus away from the heartbreaking stories of families who have been permanently separated from their loved ones because of crimes committed by illegal immigrants and instead focused on how narcissistic President Trump supposedly is. At an event at the White House hosting 11 “angel families” whose relatives suffered gruesome deaths at the hands of illegal immigrants, the president signed large photographs of the young victims. 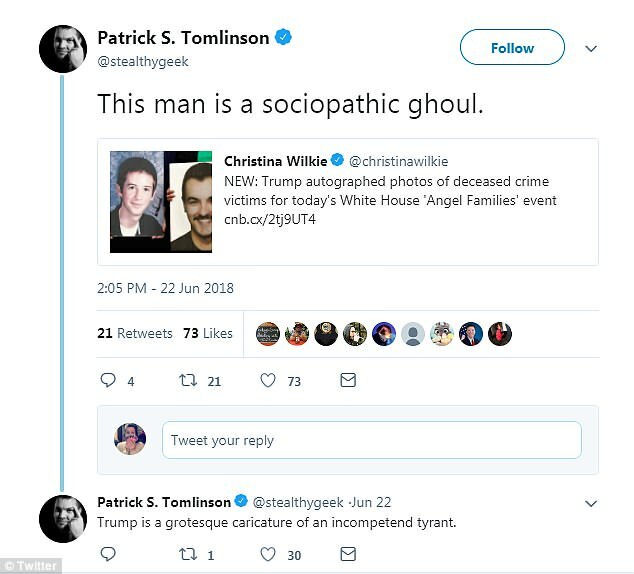 According to Trump’s detractors, that made him a “sociopathic ghoul,” as one person tweeted. “He really will put his name on anything,” writer Johnny McNulty tweeted. Entire articles were written about the furious fallout from the event caused by Trump’s signatures on the children’s photos. But apparently none of these people felt compelled to ask: Did these families want Trump’s signature on the photos of their deceased loved ones? Well, it would have been pretty clear had The Hill writer simply asked. But since no one else was willing to, we did. Chris Stansberry, who lost his daughter Tierra in a fire prosecutors allege was set by an illegal immigrant, told us that “all of us families ask[ed] President Trump to sign” the photos. But the incurious media ignored his tweet, continued promoting a false narrative, and distracted from the real separation stories and the true immigration crisis: illegal immigrants and the sanctuary cities that harbor them. “You know you don’t hear these stories, and some of our media won’t talk to you about it, but this is permanent separation,” Ronnebeck said at the event Friday. If more were willing to cover these stories – instead of made-up stories about Trump’s ego – we might have a shot at starting to mend the permanent family separation crisis that plagues the nation.